These are a few words from the wise. Being a leader does not mean ruling with an iron fist; that is a ruler. A leader is something different, something that many aspire to be, but few actually achieve. Being a ‘boss’ requires you to be a leader. Everyone knows that growing a business takes a great team, and a great leader builds and creates a great team. Even though the characteristics of a leader have not changed, the roles and expectations of a leader in today’s business world are evolving. Any boss can have any number of these attributes, but only a leader has that special ingredient, the ability inspire. The ability to inspire action in others is critical, because when you inspire others to commit to your ‘why’, you not only have a team that works hard, but loves every minute of it. So, what kinds of actions does a leader exemplify? Collaborates: A leader works with the team to create something more. Two brains are better than one, right? Welcomes and encourages ideas: You never know when someone might have a great idea. Encouraging team members to share their ideas not only makes them feel valued, but also gives them the chance to contribute. When people invest their ideas, they are more likely to commit themselves on a deeper level. Openly shares information: A business cannot flourish if no one is working together, and everyone is on a different page. Be honest, because the standard that you hold for yourself will trickle down to the team. Allows flexibility within the team: This can come in any number of forms. When employees are happy, they accomplish more. When they accomplish more, a business grows. Giving your team the flexibility to manage their time, take on other rolls, and assume more responsibility. This is a great way to illustrate trust, as well as inspire action and commitment. These were just a few of the comments that I collected from the team. Needless to say, GreenRope’s CEO truly embodies true leadership, and I believe that many ‘bosses’ should take note. 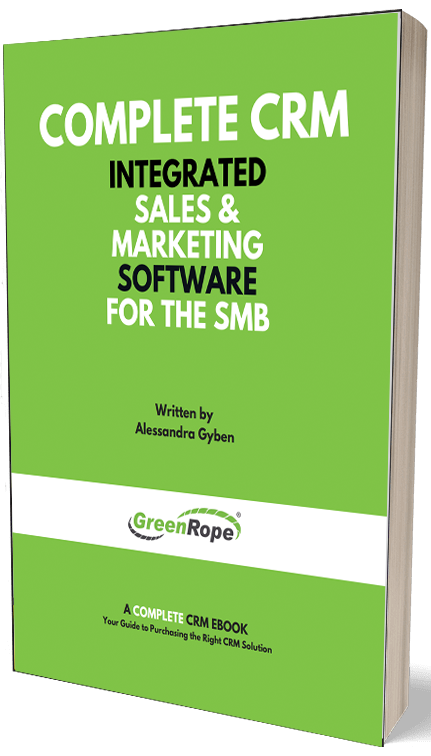 There is a reason that GreenRope is consistently on the up and up, and a lot of that has to do with the networked structure of the business. In 2014, I believe we are going to see a movement in this direction, where bosses are leaders and not simply, just ‘the boss’. As the millennials continue to take on jobs, they expect more from what they do, and want to feel like they are contributing and accomplishing something great. The world is no longer a place where a boss sits in his top floor office looking down upon his staff; instead, he sits with the staff and works collaboratively to grow a successful business! Stay tuned for the last post in our leadership series explaining how CRM can help a boss become a leader.